Discovery Project - The Discovery Project: Philosophy in the Digital Era? Philosource, a federation of semantic digital libraries in the field of philosophy. Philospace, a network of personal desktop applications used to enrich the content of Philosource with semantic annotations. The Philosource federation contains an extensive, multilingual collection of reliable scholarly editions of philosophical texts, high quality reproductions of primary sources and a rich archive of videos including lectures and interviews featuring leading contemporary philosophers. Each of the web sites of the Philosource federation is dedicated to a particular body of work and all material published in Philosource have stable and persistent web addresses to ensure the reliability of scholarly references. All of the content in Philosource is freely available via any common Web browser and is fully interoperable with Europeana. Philosource is thus like a union of independent countries, brought together by their commitment to common values (free access, collaboration, consistency of sources, standards of excellence, peer review), innovative Web technologies, and the constant exchange of ideas. Think of this material as a vast territory ready to be explored, described, and mapped out. The original configuration remains intact, even as the territory expands with each new contribution. You can travel through the territory at will but can also design new maps and author guidebooks for others to read and respond to. 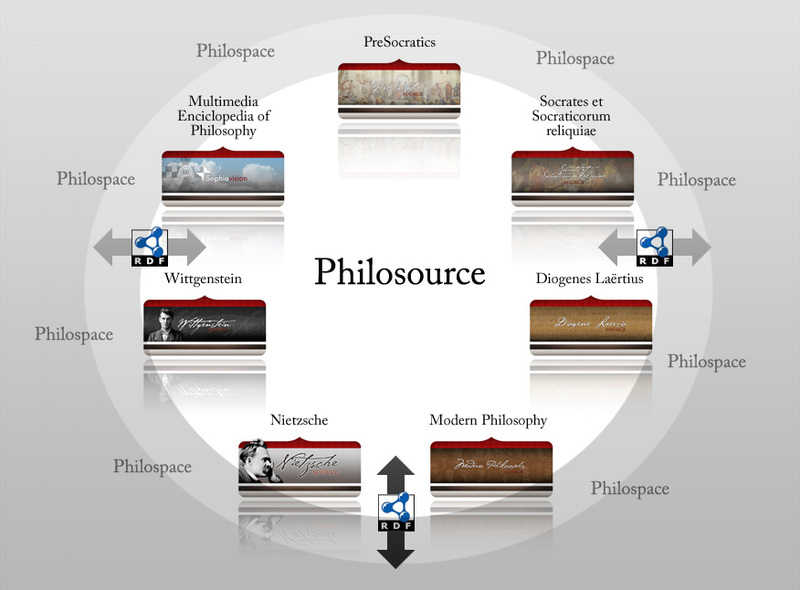 In fact, on top of this network of Web sites lies Philospace, a desktop application that runs on a scholars’ personal computer and provides a collaborative environment in which to browse, study, and enrich the content published in the Philosource federation. Thanks to the use of Semantic Web technologies it allows users to make ontoloy-based contributions such as comments and annotations and to share them with other users or merge them with other external Semantic Web sources. Philosophy has often been thought of as a journey or exploration. Discovery aims to find out what this voyage could look like in the 21st century.